March 13, 2016 – Our Visit to Empakai Crater…. As you may have gathered by now, Sundays have been reserved for exploring this beautiful country and today was no different than others. 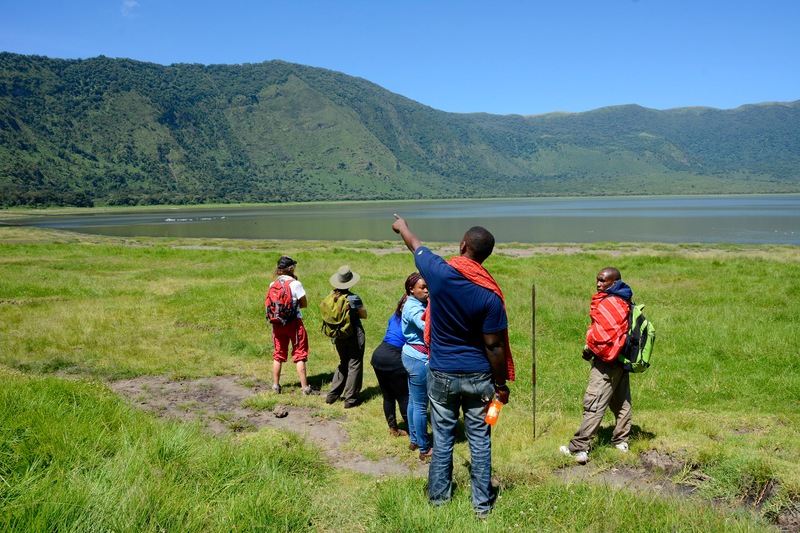 We usually go on a wildlife safari to one of the nearby parks, but today we decided to visit Empakai Crater which is in the Ngorongoro Conservation Area and is unique in that you hike into the crater on foot. 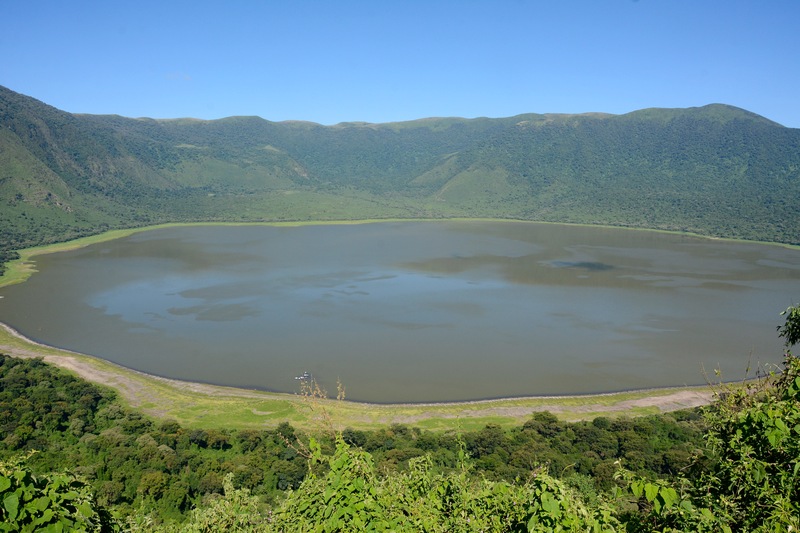 Though Ngorongoro Crater is the best known of the volcanic calderas in the conservation area and rightly so for it’s amazing diversity of wildlife and its beauty, Empakai Crater is an equally stunning, though smaller caldera whose bottom is almost completely occupied by a lake. It is totally undeveloped and except for the road that ends at the crater and a few primitive campsites, it is a feature that is undisturbed and has not changed at all from when it was first formed. 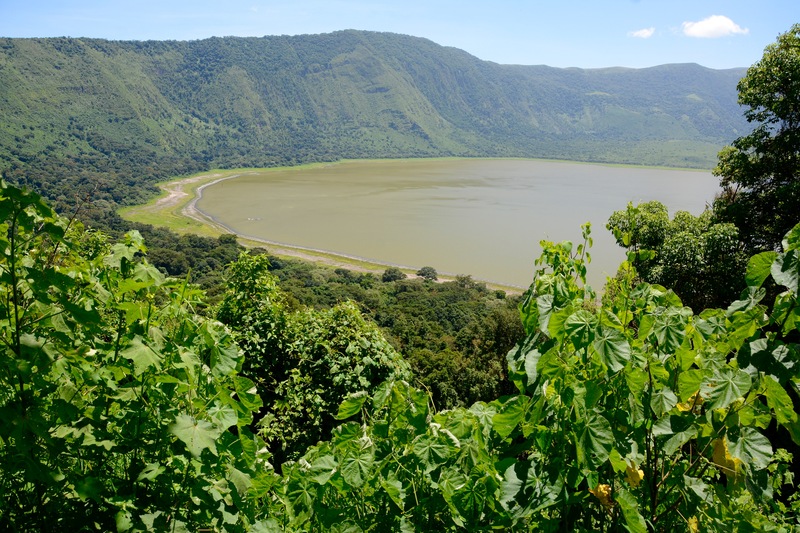 The trip to Empakai begins by driving up to the big crater (Ngorongoro) and then around it’s rim in the opposite direction than if you were traveling to the Serengeti. If you think you have to drive down into the crater to see wildlife, you’d be mistaken. 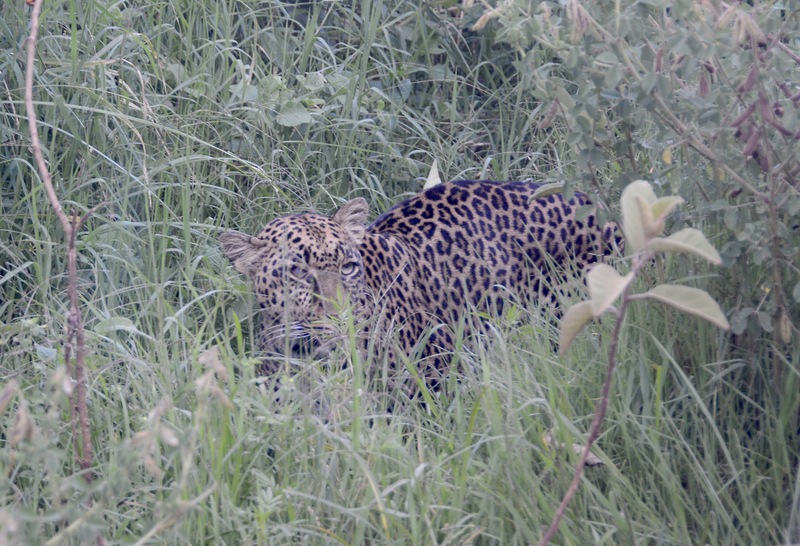 Shortly after we began our drive around the rim, I spotted a leopard that jumped from the road and into the grass along side it. Amazingly, the leopard didn’t run and just sat there for several moments as if posing for us. He then moved along the vehicle and back into the road where he lumbered off and out of sight. I started up the car and around the next curve were two rangers walking in the road with rifles. 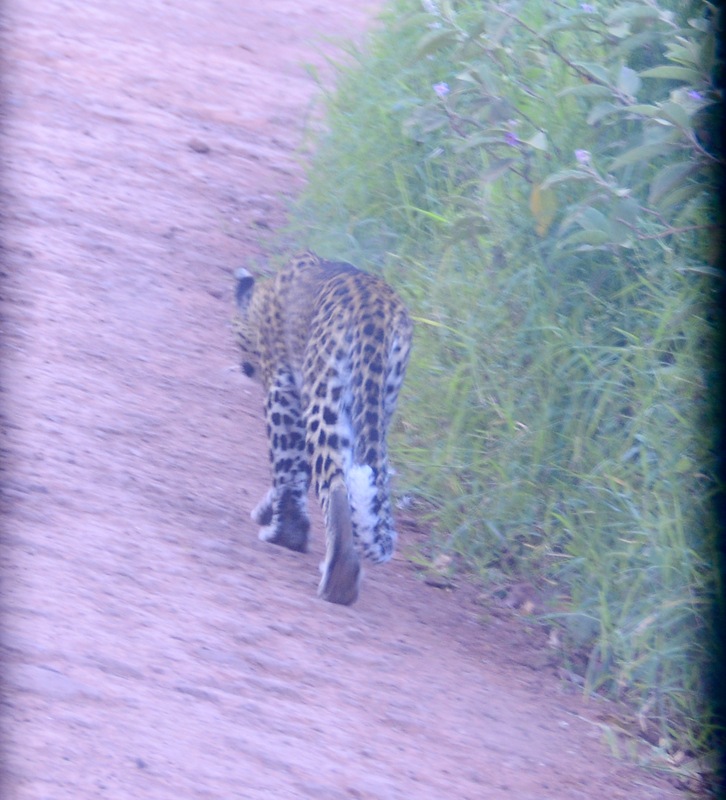 We stopped and told them that there was a Chui (leopard) just ahead and in the road as we didn’t want anyone to be surprised or any accidental consequences. 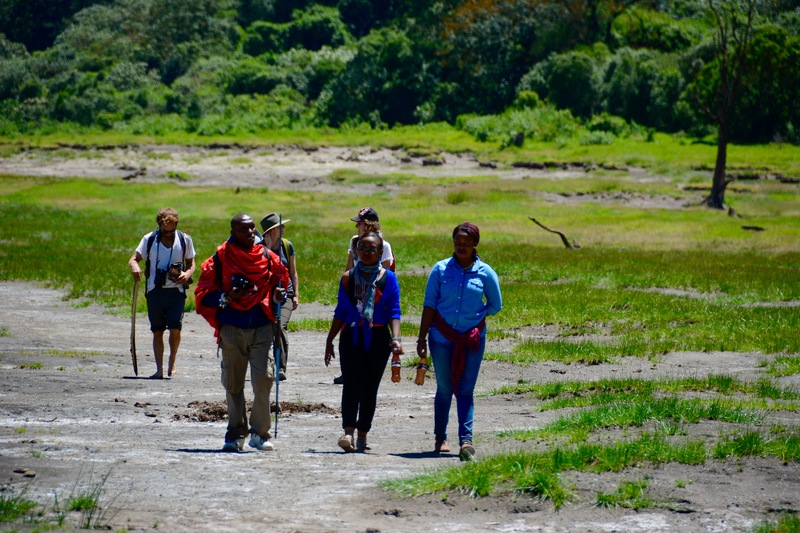 Our trip to Empakai was suggested by Sokoine who had grown up in the conservation area and knew how much we all liked to hike. Unfortunately, Jackie didn’t feel well the morning of our trip so she remained back at FAME and we were all disappointed as we knew it was something that she had really been looking forward to. In addition to myself and Sokoine, were Nick and Jess, Pauline, Angel and Patricia. We were planning to pick up a guide along the way for our hike into the crater which is required. I hadn’t realized just how close it was that Sokoine’s family lived so when we suggested that we stop by his boma it was an easy visit. We turned off the main road onto a small trail just wide enough for the Land Cruiser and proceeded to his boma that was only a few hundred meters off the main road. He had grown up here and left when he was 14 to go away to boarding school, but it was his father’s boma and everyone there were family for him. 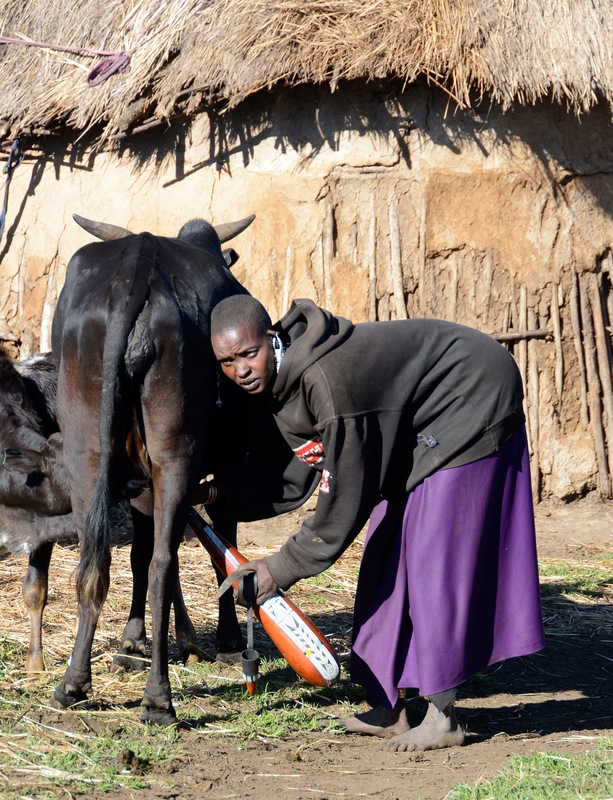 His father had five wives, though his mother had moved away from the boma to live with two of his brothers several years ago. It was so incredibly touching to see how each of his younger family members came up to him to be greeted which is done by placing his hand on their head as they gently bow. It was clearly a sign of respect given to one’s elder. We finally made our way to where his father was and greeted him with hand shakes and kind words. I stood next to Sokoine as he and his father caught up with each other speaking Maa and the respect they had for each other was so heartwarming. 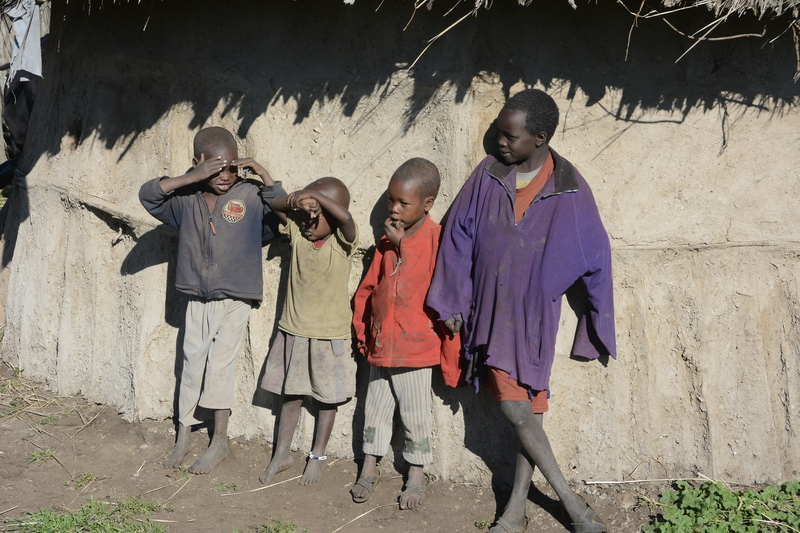 The children were all watching us as it was clear that our visit was a big event in the boma. 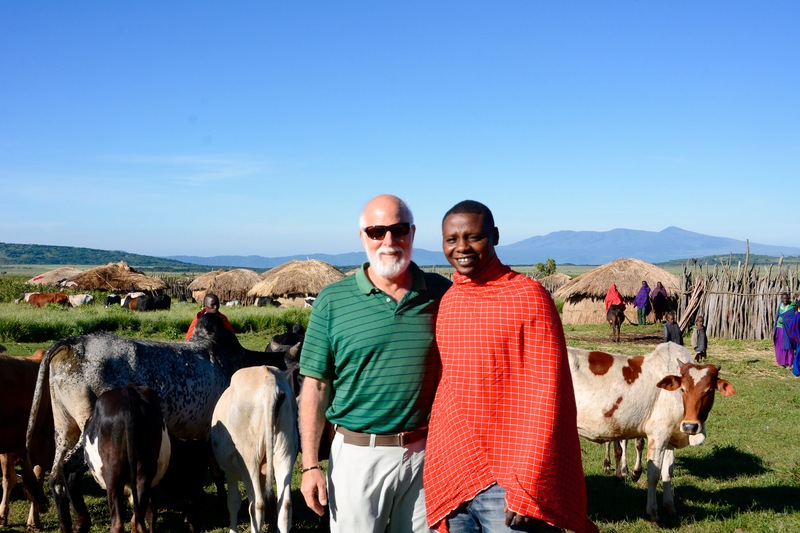 We walked around among the small huts and numerous cattle that they were walking loose through the boma. Sokoine showed us his 30 odd head of cattle that were a small number compared to the 400 plus that his father owns. It was a wonderful visit to to a friend’s home and something I’m sure none of us will forget. And I know that it made Sokoine very proud to have us there. We were soon on our way again and stopped to pick up our guide, Philipo, who lived in a boma very close to Sokoine’s. 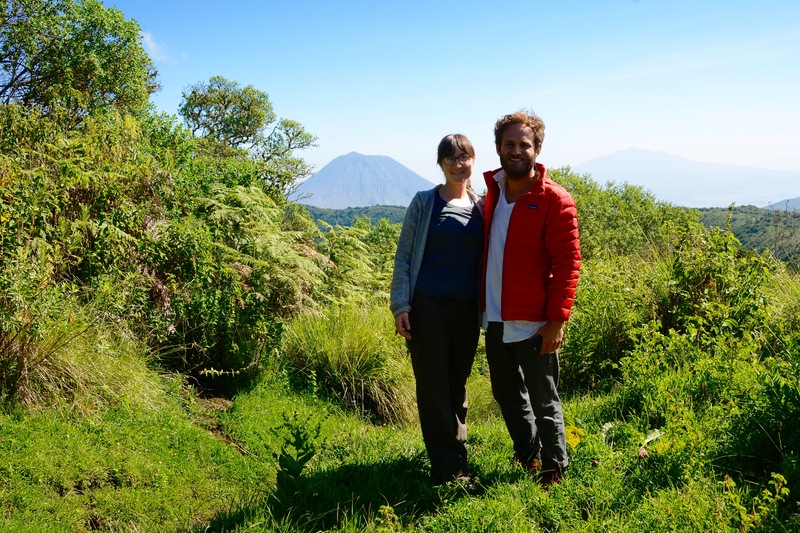 He spoke perfect English and was very knowledgeable about the crater and the wildlife in the area. The landscape as we traveled to the crater was indescribable. 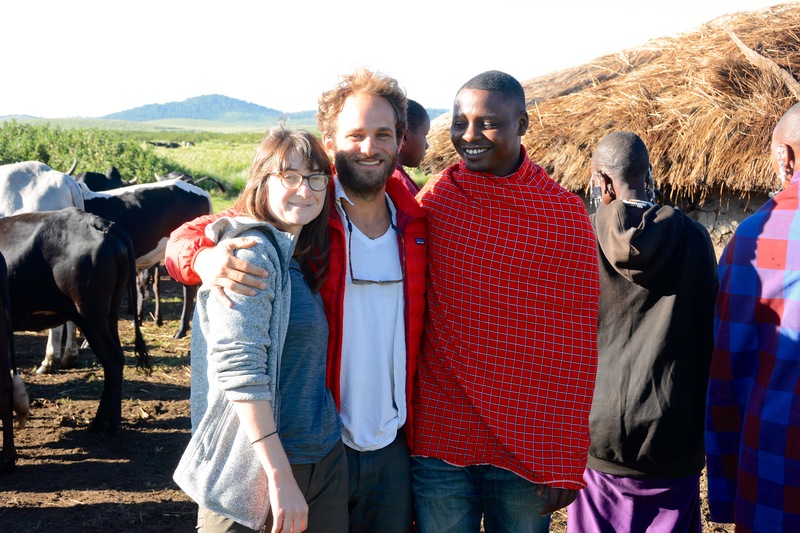 We traveled by another smaller crater and then down into a depression filled with wildlife living together with herds of cattle, goats and sheep that the Maasai grave through this region as part of the multi-use mandate of the conservation area. Many, many Maasai boma were high on the hillsides overlooking the road as we drove along and not until we approached the crater did the landscape begin to change. 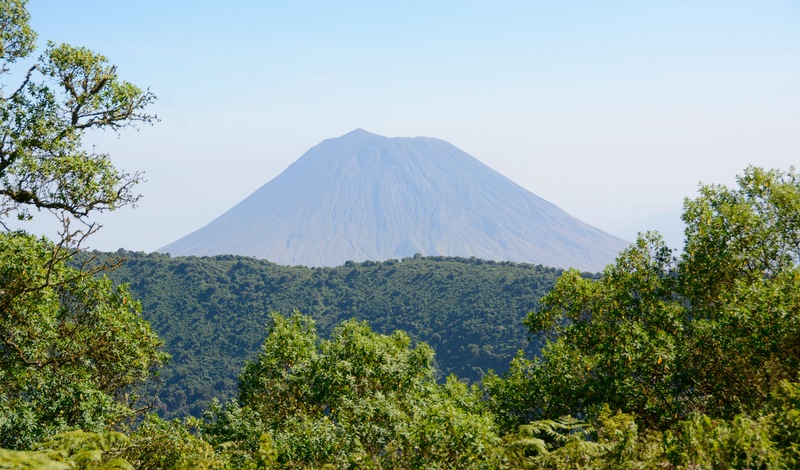 The weather was also beautiful this day and as we drove higher to the crater rim, it suddenly dawned on me that I could see forever and there in front of us was an almost never seen view of the top of Mt. Kilimanjaro, snow fields and all. Not only that, but Mt. Meru was also fully visible and as we turned a corner, there was Oldoinyo Lengai sitting right in front of us in all its glory. 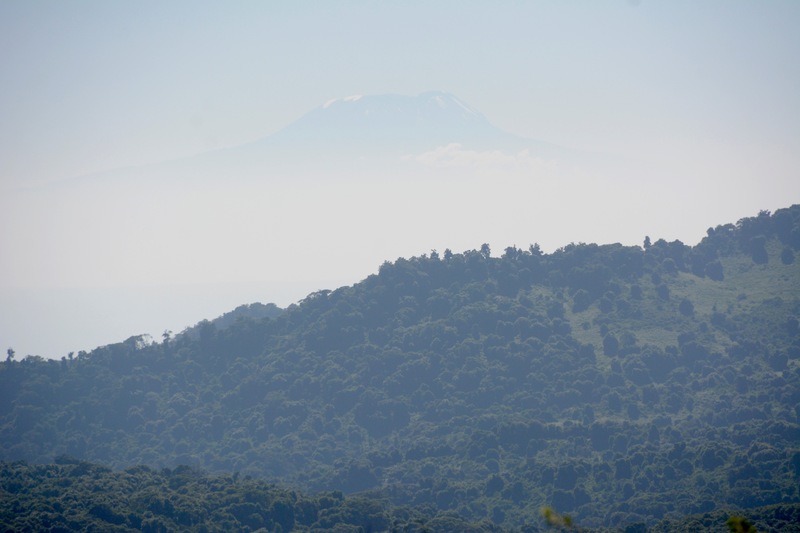 Oldoinyo Lengai means Mountain of God in KiMaa and it is a sacred mountain to the Maasai as well as an active volcano that last erupted in 2008. We drove a bit further and parked near the beginning of the trail that descends to the bottom of the crater. 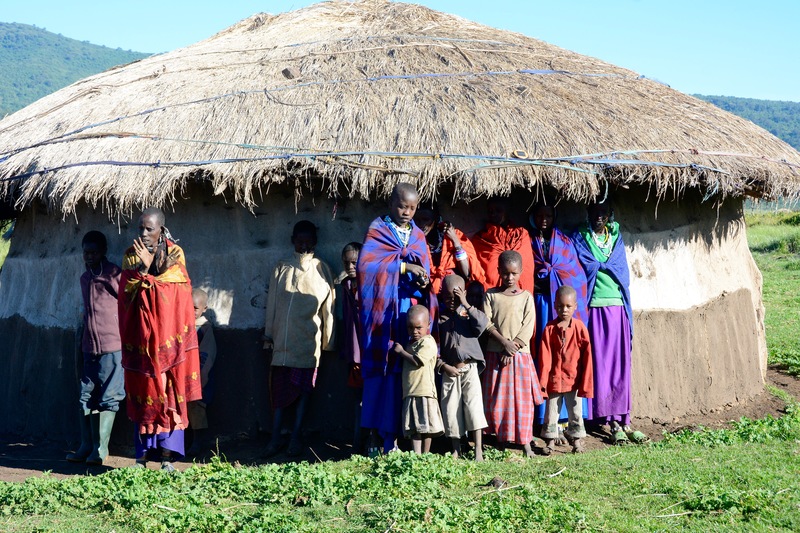 We were the only visitors to Empakai this day and there was a Maasai family that approached us to buy their jewelry as we arrived. 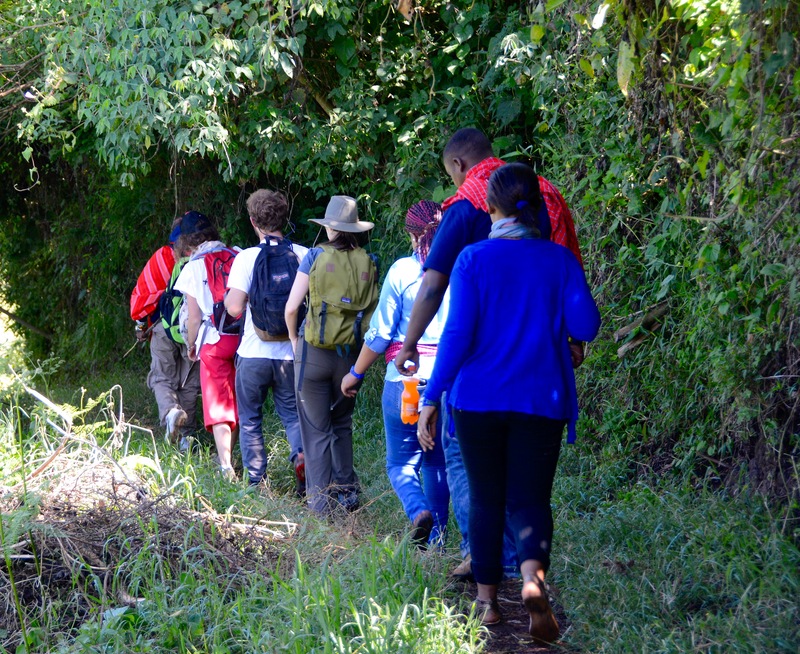 We began our descent into the crater which was a spectacular hike of about 45 minutes through overgrown canopies to trees and vines and tall brush that included stinging nettles to be avoided. The trees were almost primordial as they reached towards the sky and well clear of the lower vegetation we were hiking through. It was very warm and humid along the trail, but as we exited at the bottom of the crater and onto the lake shore it was bright and refreshing. It was like being in another world and reminded me of all the class B movies about traveling back to the time of dinosaurs. Our guide had spotted a bushbuck that we soon spotted running into the thick undergrowth at the edge of the forest. 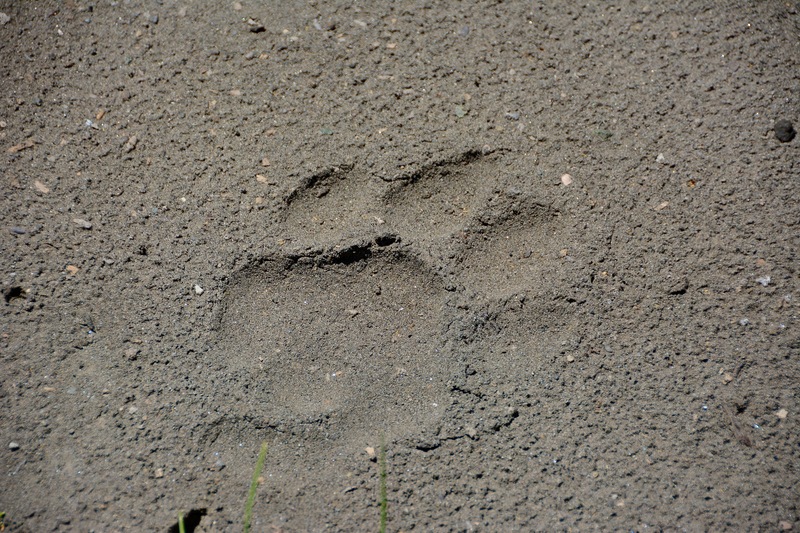 As we strolled along the lakeshore we spotted countless footprints of game animals, mostly Cape buffalo and other antelope, but then saw numerous paw prints of lions some of which were quite large and fresh. The lions come out of the forest and down to the lake in the evening in hope of ambushing prey and they are likely quite successful at it considering the number of prints we saw on both sides of the food chain. Sokoine and I hiked along the shore towards a group of flamingo while the rest of our party decided to relax amid an outcropping of rocks that likely represented tufa similar to that at Mono Lake in California considering that Lake Empakai is also a soda lake. We came to a rise that looked like a perfect location for lions to scout from and approached it slowly until we were sure that no lions were present. We sat on the rise that offered a perfect view of the entire lake while behind us a boisterous group of baboons were in the trees making their presence known. We eventually walked back to the rest of the group for lunch on the rocks as we watched the baboons slowly come out of the trees and into the tall grass. It was eventually time for us to depart the lakeside and make our way out of the crater. The hike was on the same trail we came down, but it seemed much easier to hike up than down as the footing was more secure. It was hot and steaming and I was soaked in sweat in very short order on the way up. Angel and Patricia, who had asked to come along with us for the hike were not prepared as it was fairly strenuous ascending and we had many stops for them to catch their breath. Finally, as we were quite near the rim of the crater, Angel sat down and seemed to nearly pass out from exhaustion. Neither she nor Patricia had brought a lunch and I don’t think either had eaten very much so perhaps they had both run out of energy. Either way, she eventually recovered and continued on the trail to the road on the rim and the completion of our hike. 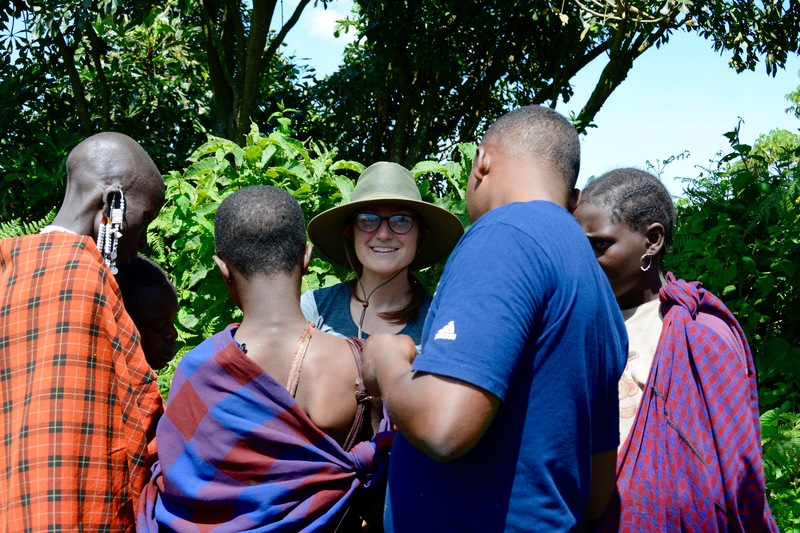 The Maasai family was still waiting for us hoping to sell some of their jewelry and Jess decided to oblige them by looking at their bracelets which were a bit overpriced, but considering their struggle, it wasn’t an issue. Jess was quickly surrounded by several of the women and children hoping to sell one of their bracelets to her and she eventually made a decision that made at least a few of them happy. 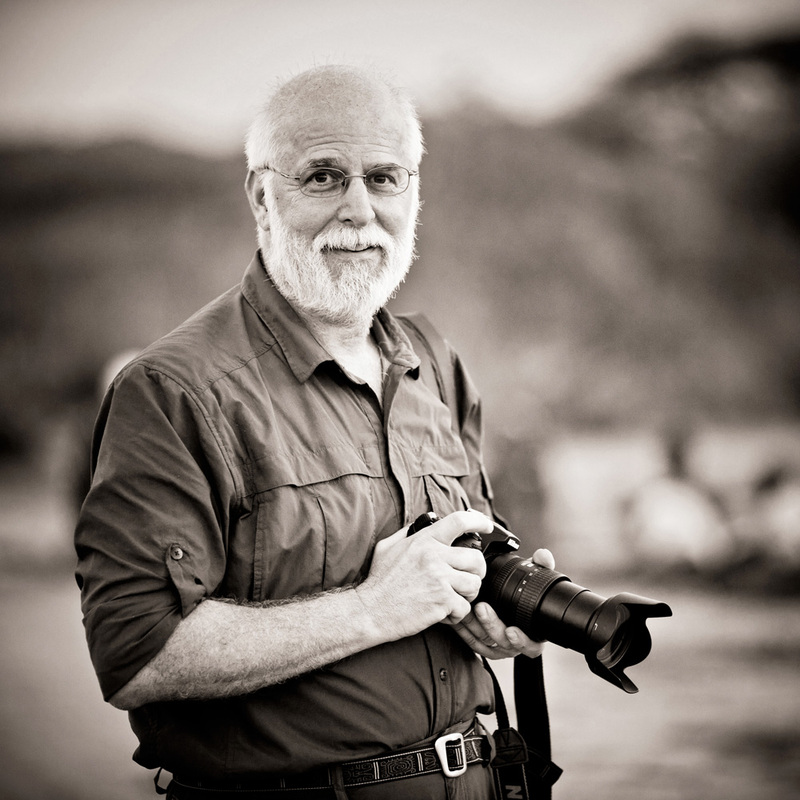 We departed Empakai for the long and somewhat treacherous drive home back along the big crater rim which is often wide enough for only one vehicle despite the frequent traffic of safari vehicles and residents of the conservation area heading in both directions. 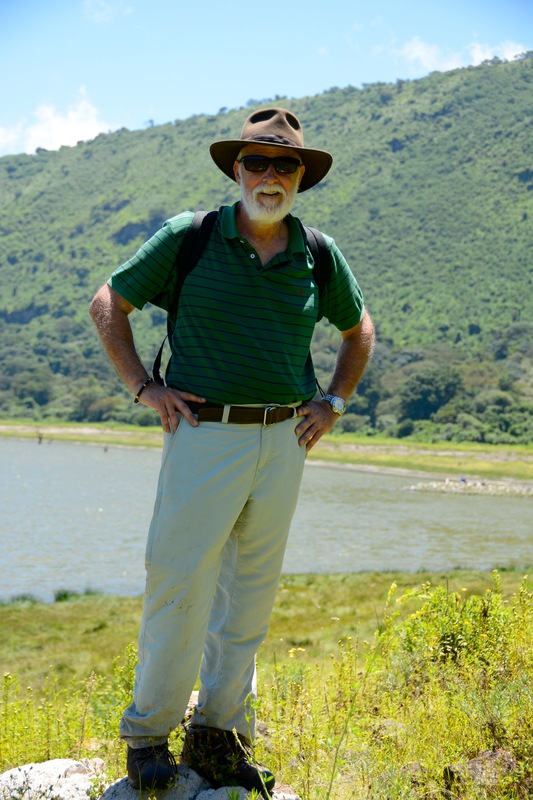 A short stop at the Ngorongoro Crater overlook and we were back to the gate and the tarmac and heading for home. We did have one additional encounter with wildlife as a very large baboon decided to jump on the hood of the Land Cruiser while I was taking care of paperwork at the park exit. The baboon had then jumped into a tree and intentionally urinated right next to our car so I was warned as I came back to avoid standing under him for too long. That clearly would have ruined a most beautiful day. March 12, 2016 – Our Saturday FAME Clinic and Gibb’s Farm….